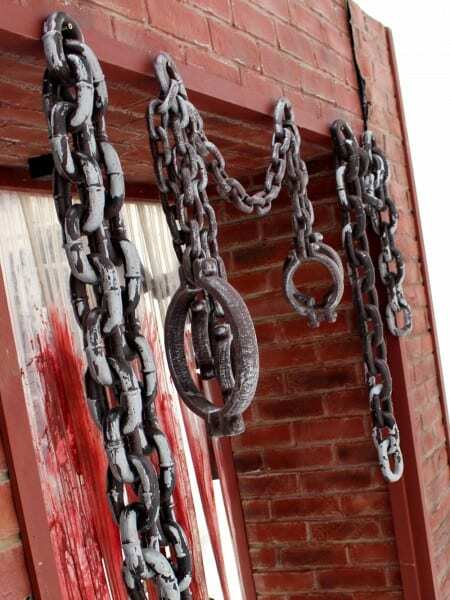 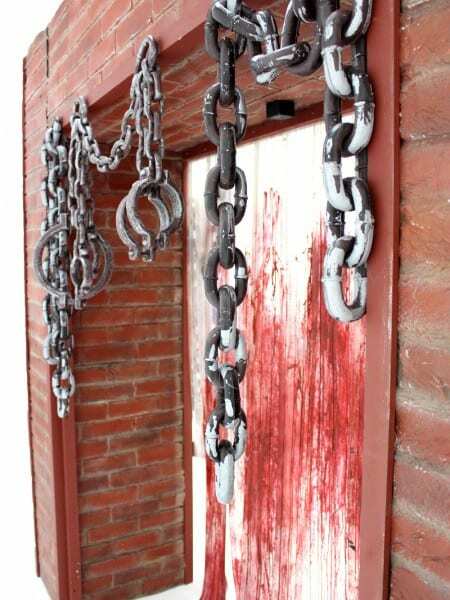 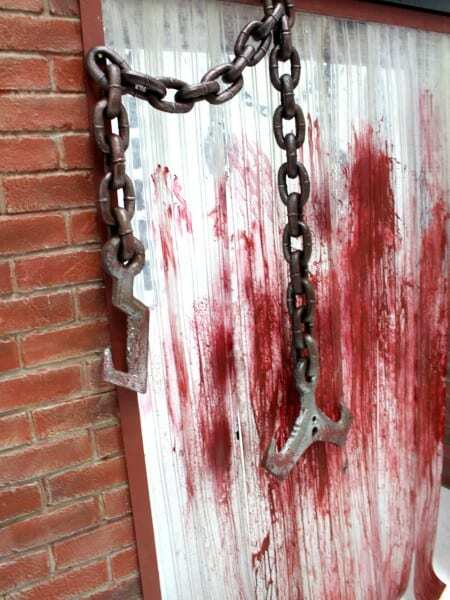 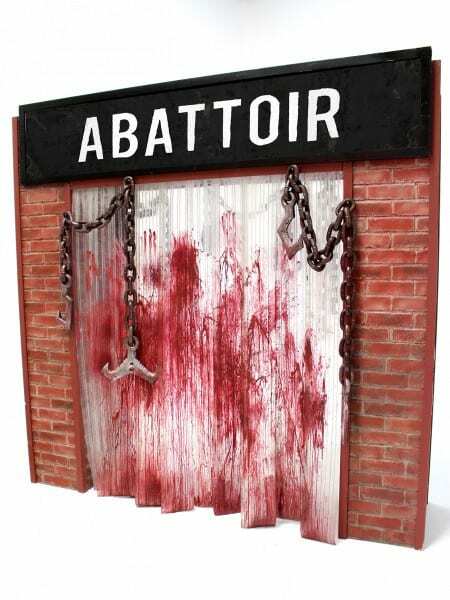 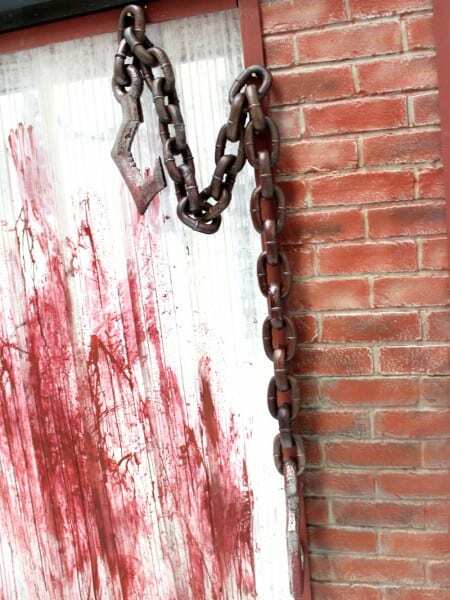 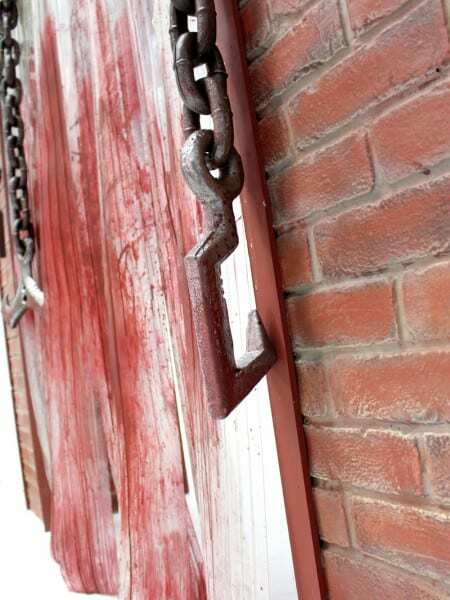 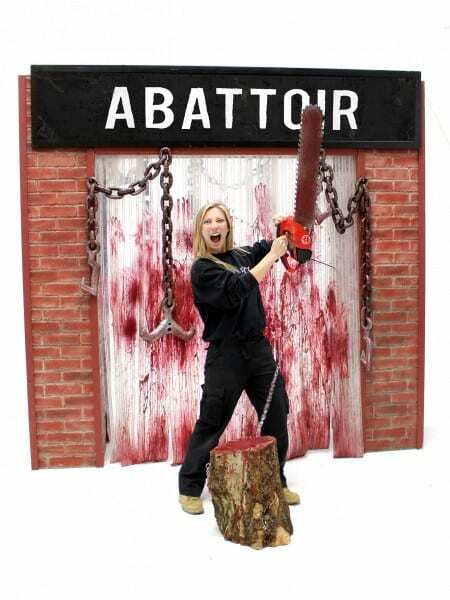 A bloody scene awaits your guests with this entranceway. 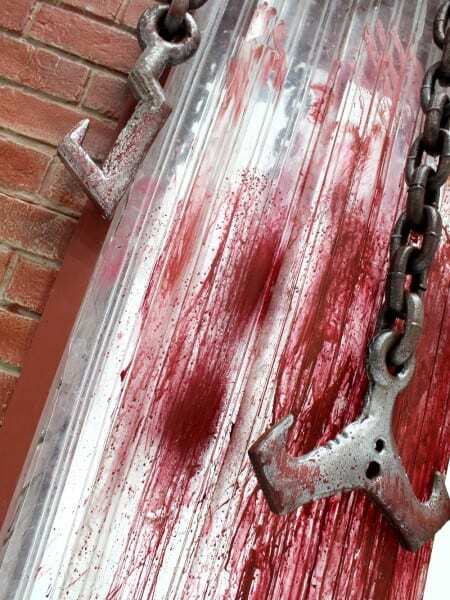 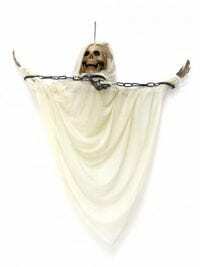 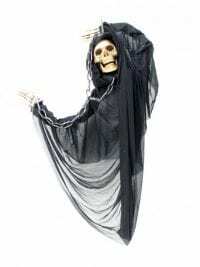 Will they dare to go through the blood stained plastic curtain entrance to see what is beyond?! 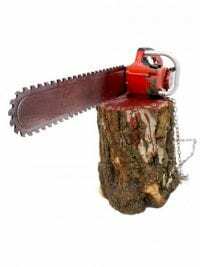 Please note that the dressing will arrive in a box ready for you to dress this prop according to the picture and the Bloodied Block of Wood with Chainsaw is available separately.